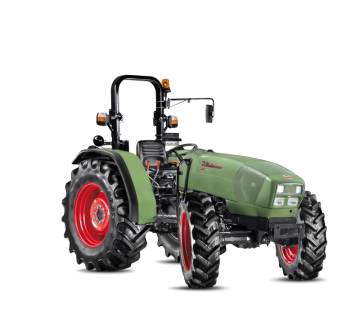 The new Hürlimann XS V-Drive revolutionises the way you work in orchards and vineyards; its technological innovations are designed to increase the productivity of special tractors. The Hürlimann XS V-Drive stands out for its highly advanced technology, as demonstrated by the new MaxCom armrest with controls, the innovative continuously variable transmission system, the completely redesigned cab and a hydraulic system with load sensing pump which has a flow rate of 100 l/min. The FARMotion engine, designed specially for use in agriculture, is distinguished by its compact design and its economic and extraordinarily efficient engine control system. This grants our top-of-the-range model, the Hürlimann XS V-Drive 115, a maximum engine power of 113 hp (83 kW) which is achieved at 2220 rpm. Powerful torque and extremely low fuel consumption are guaranteed. The FARMotion engines, which are available with either three or four cylinders, have a common rail fuel injection system with an injection pressure of 2000 bar and an electronically controlled viscous-drive fan. A maintenance-free DOC catalytic converter achieves emission level III B. Engine power is continuously, efficiently and reliably converted into productive work performance without losing power and while saving fuel and reducing noise. The maximum speed of 40 km/h can already be reached at 1630 rpm. This results in maximum productivity both on the road and when in use by automatically connecting the all-wheel drive system and the differential locks. The new V-Drive transmission system is easier to use than any other system. 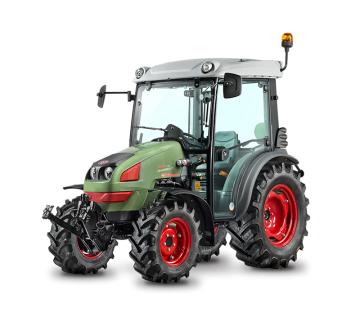 The driver is only required to set the desired speed and the tractor will accelerate smoothly until it has reached this speed. The engine and transmission system sync up automatically and deliver the most efficient engine speed depending on the load. 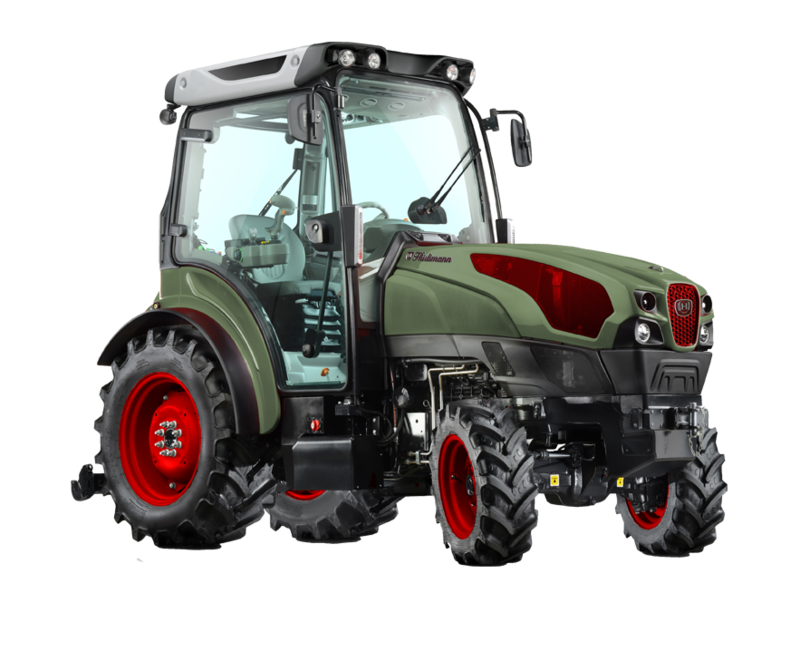 Based on a powerful 100 l/min load sensing pump, the new highly efficient closed centre hydraulic system offers significant fuel savings and allows the tractor to be equipped with up to ten hydraulically-controlled rear couplers, in addition to the eight belly couplers and three high flow couplers duplicating the rear distributors. Thanks to the ability to configure the hydraulic functions on the new joysticks as required, connecting the most complex hydraulic machinery becomes a simple, quick and intuitive task. The groundbreaking design and extraordinary comfort provided by the new cab, as well as the unparalleled variety of configurations and equipment, perfectly suit the new ergonomic MaxCom armrest with controls. All functions are within arm's reach, enabling you to intuitively control the machine and any attached implements. The new cab has a level cab floor and a one-piece or hinged windshield to ensure an optimum view, and has been certified as providing maximum protection for the driver during phytosanitary treatment. The new category IV roofs include air conditioning and state-of-the-art LED work lights.